Zone 8. 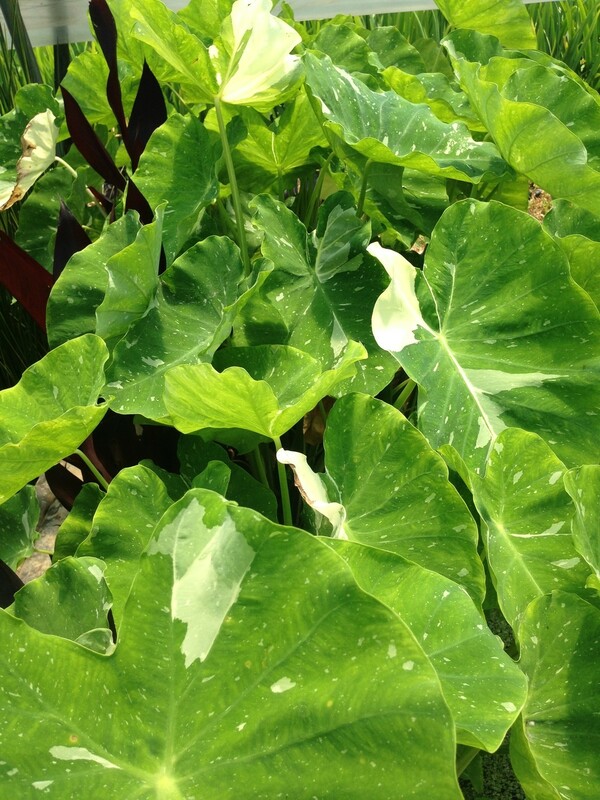 Variegated Taro. Incredible dusty charcoal black leaves on dark burgundy, almost black stems. 4' tall.